There are so many great remedies to stop the awful pain, itching, and scarring of bed bug bites. We’ve discovered more than 10 ways and have shared them with you in our previous blogs this year. So whether you’re searching for natural home remedies or need recommendations for topical creams to assist in healing and scar removal, you’ll find helpful information by catching up in our latest posts. 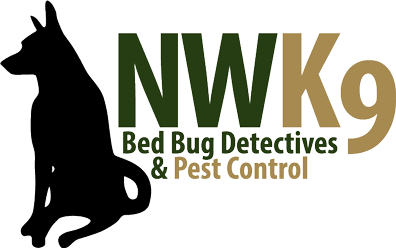 Altogether, the healing of bed bug bites is quite simple, but what’s even easier than these methods is calling Northwest K9 Bed Bug Detectives for annual bed bug prevention in your Seattle home or business. Bed bugs are nasty little creatures who will leave many bite marks on your skin if you’re not careful. So whether you have bed bug bites right now and are looking for some easy healing tips or are stocking your brain with helpful knowledge for the future, these remaining tips are some of the best healing methods for bed bug bites, especially if you’re trying to prevent or reduce scarring. Vitamins are always great for the body, and vitamin K has special healing powers for the skin especially. Vitamin K comes in capsules, cream, and is naturally available in green leafy veggies. The cream form is the best for treating bed bug bites. It is typically found in beauty stores because the skin nourishment elements that prevent scarring are also great for reducing wrinkles. Even though you’re in the market for bed bug prevention and healing, why not kill two birds with one stone and get rid of some of those pesky wrinkles too! This is one of the most relaxing ways to stop scarring. By massaging the scarred area, the skin pigmentation is evened, which reduces the appearance of scars. We recommend scheduling a massage at a nearby spa, or giving yourself a DIY massage. Don’t forget to use essential massage oils, such as olive oil, almond oil, or coconut oil, to make the massage more pleasant and give the scars more nutrients to expedite healing. If the bed bugs decided to feast on your face, neck, or other sensitive area of skin, it may be worth a visit to your local dermatologist. If the scarring is very bad, you may want to consider laser therapy for scar removal. Ultimately, the best thing you can do for yourself while healing bed bug bites is to refrain from scratching. The scratching is what leads to scarring. There are a few steps to take for bed bug prevention to avoid ever needing to use these tips, but we want to make sure you are always prepared. Get in touch if you have any questions or want to schedule bed bug extermination or prevention.